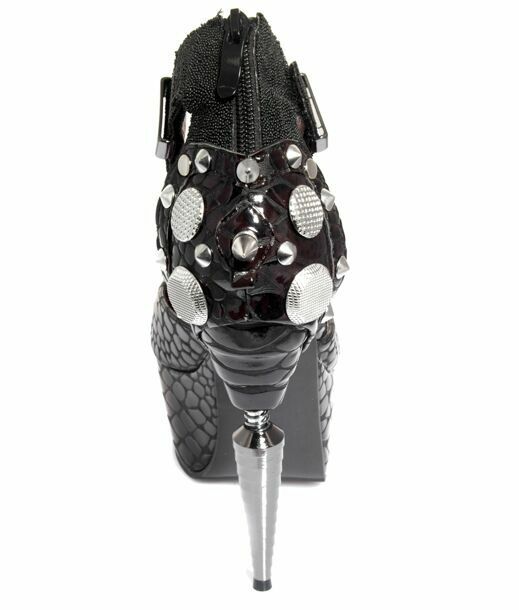 Venom features the elaborately detailed "Rhino heel" spike. Black/burgundy patent croc texture on the closed-toe pump with matching hardware-laden back piece. Texture added: fine black beaded heel cup and strap section creates loads of drama. Adjustable velcro ankle bracelet. 6" layered spike heel and 2" platform sole.